Click themes to access study pages. 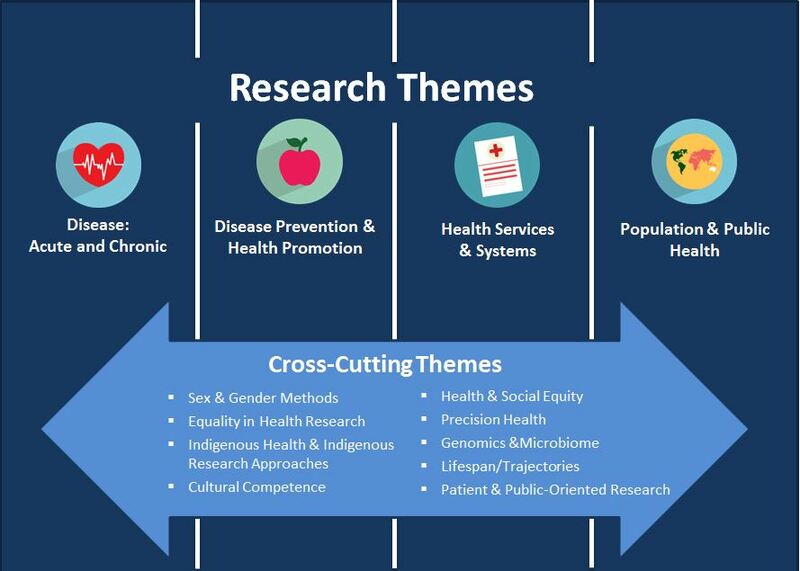 The WHRI themes are focused on four key areas defined by this Figure, and include: (1) Disease: Acute and Chronic; (2) Disease Prevention and Health Promotion; (3) Health Services and Systems; and (4) Population and Public Health. Our cross-cutting approaches reflect the rich diversity of methods that the WHRI members use to approach, execute, and interpret their research. We are proud of the values of equity, diversity, and cultural competency exemplified by the research undertaken by our members. Click here to read more about our Research Programs.